After you cut the desired piece of glass is to treat it the region. This procedure does not take much time, but requires little care and attention. So how do you handle the edge of the glass? To the edge of the glass turned out as evenly as possible, it is necessary to cut. While cutting hold the glass cutter vertically against the glass, pressing it on top of the index finger. Spend a glass cutter along a smooth rail or adhesive tape. Start cutting from the far end. Keep a glass cutter on a uniformly pressing a surface. Spend only once. Before you break the glass, put at the end of the incision matches. Gently tap with a hammer on a cut, so it turns into a smooth break off the handle. After cutting, proceed to the processing of glass edges. After cutting the glass that has bumps and nicks, and sharp edges. It is better to treat the edge of the glass on special machines, but at home this method cannot be used. Take file, for thin glass will fit velvet, for Tolstoy is better to take personal. Put it next to a small jar with kerosene or turpentine, to constantly moisten the file. You can even apply a solution of camphor in turpentine in the ratio of 1 to 10. Of grinding bars use emery and carborundum; incidentally, the latter can not be wet. Start to prepare the glass along its edge. Work very carefully, especially with thin material. To get a straight edge, move the glass back and forth across the surface of the bar. Constantly rinse the tool in the prepared composition. For this operation, use the emery old stones and old files, as in the process of grinding the bars formed by the scratch, and the file blunts. To do the work, you can also take the piece of wood and wrap it with sandpaper. First use coarse, then change it to smaller. 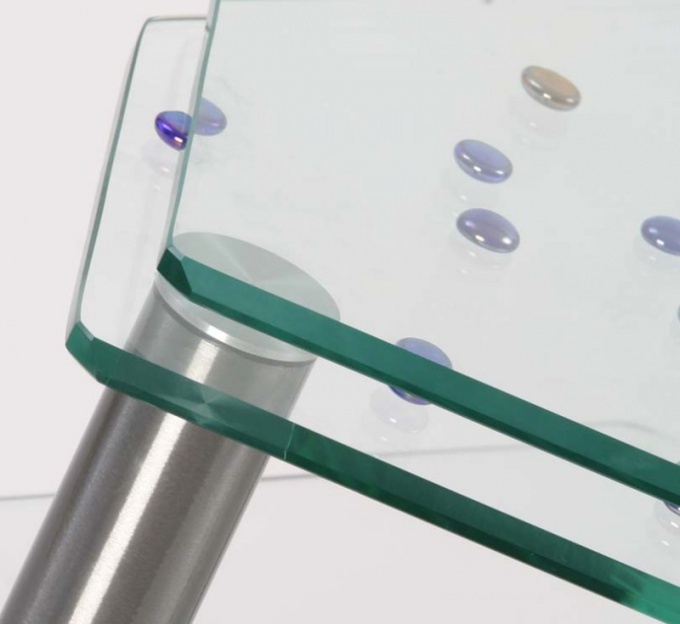 Be careful when handling the ends do not hurt the surface of the glass, otherwise it will scratch. Work on the edging of the glass must be fulfilled in cotton gloves, and eye protection wear protective goggles.